Wood shakes and wood shingles are manufactured from red cedar, cypress, pine and redwood trees. Almost all of the earliest roofs in the United States were roofed with cypress or hickory shakes. 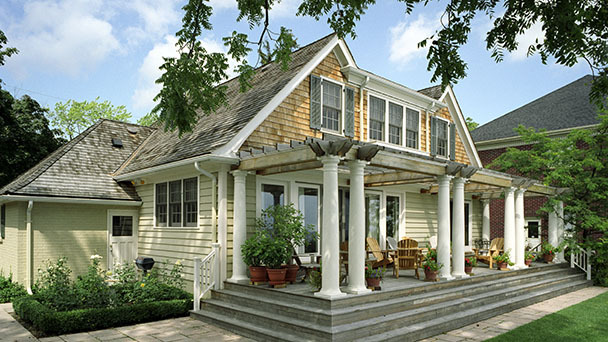 A wood shake is a roofing product that is typically split from a wood log and is re-sawn or shaped by a mill. 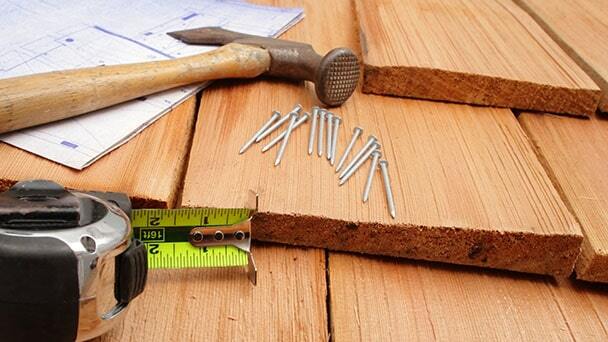 A wood shingle is a sawn wood product that is tapered and is available in three lengths. Cedar shakes and shingles are available pressured treated with fire retardants and chemical preservatives for increased fire resistance and to prevent premature rot and decay due to Chicagoland’s climate. Wood shakes and shingles may be applied over continuously or closely spaced wood decking or over a spaced, sometimes referred to as “skipped” sheathing. Solid roof decking or sheathing should be used in the area of the roof deck where an ice dam protection membrane is required. Asphalt saturated, non-perforated organic felts are among the most common underlayments used for wood shakes and wood shingles in the Chicagoland area; they commonly are designated as Type 15 and Type 30 or referred to as No. 15 and No. 30, which are reflective of a once used pound per square weight designation. The terms Type I and Type II now are used within the industry in lieu of No. 15 or No. 30, respectively. When underlayment (or “felt paper” as it is frequently called) is specified, No. 15 or No. 30 asphalt-saturated, non-perforated felt should be applied shingle fashion on roof decks having a slope of 4:12 (18 degrees) or more. NRCA does not recommend using wood shakes and wood shingles on slopes less than 4:12 (18 degrees). In the case of wood shakes, these sheets are produced in 18 inch (450 mm) widths as “interlayment” felts; that is, they are applied between courses of wood shakes rather than directly over a substrate. In locations where the average temperature for January is 30º F or less (such as Chicago), NRCA suggests installation of an ice-dam protection membrane. An ice-dam protection membrane generally is a self-adhering polymer-modified bitumen membrane.